That users spend 52% longer on properties that feature 3D Tours as part of their online marketing. 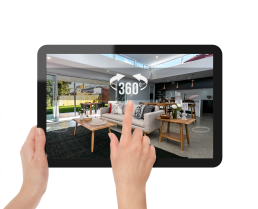 If your looking for a way to take your digital marketing to the next level then exploring how our Matterport Scans can help may be exactly what you have been looking for. The ability for people anywhere in the world to walk through your entire property is truly amazing and with the added bonus of our tours working with VR headsets its like your clients are actually in the room.